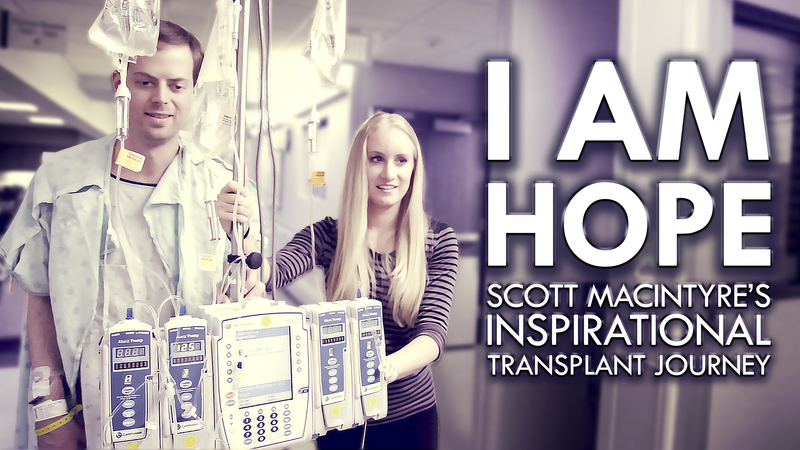 I am so very excited to announce the release of our documentary film, “I Am Hope: Scott MacIntyre’s Inspirational Transplant Journey.” Over the last few months, Christina and I have been working hard on this project, and it is amazing for us to be able to share a part of our lives with you in this way. As many of you know, in 2015 I underwent my second successful kidney transplant and received a kidney from an anonymous donor. This documentary is the untold story of our journey from hardship to hope and a testament to the incredible power of giving. I hope that it inspires you to hold on in the hardest of times and to live every day as if it is your last. For a limited time, you can watch for free on PUREFLIX.com. If you enjoy the film, we’d so appreciate you rating it highly! Thank you so much for your support, and I wish you a great Christmas season!